ハロウィン in Hogwarts. . HD Wallpaper and background images in the ハリーポッター club tagged: harry potter hogwarts hp trio halloween malfoy felton watson radcliffe grint. This ハリーポッター wallpaper might contain 上着, overclothes, アウターウェア, オーバーキャップ, and アウター. 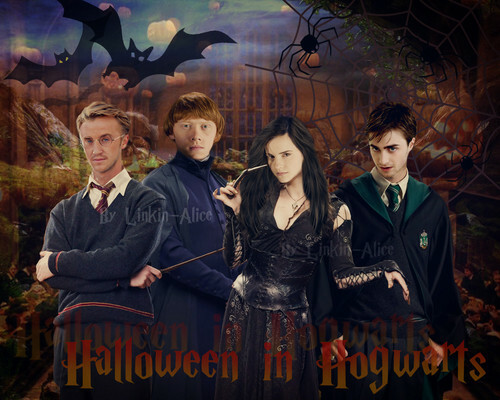 draco in specs and harry as draco hehehe!!!!!!!!!!!!!!!!!!!!!!!!! Hahaha-Harry's face is hilarious! LOVE it! WHY I 愛 HARRY POTTER! !